Check out the full interview and be sure to post comments around any questions you have. Enjoy! Short Bio: I started at Microsoft as an intern in 2005 and have been working in Visual Studio ever since. 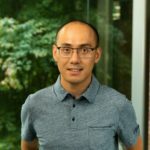 I’m currently a PM on the VS Shell IDE team and work on the core IDE UI and services as well as the Extension Manager and http://www.visualstudiogallery.com integration. Prior to my current duties, I was the SKU manager for the Visual Studio Express products.